BlueFlare Antivirus is a fake Antivirus. 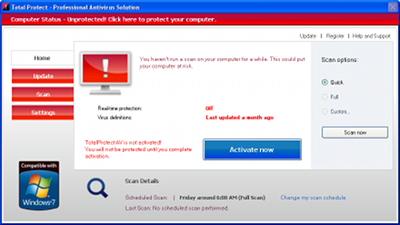 It is a clone of Milestone Antivirus, Wireshark Antivirus, Sysinternals Antivirus, XJR Antivirus, AKM Antivirus 2010 Pro, Your PC Protector. 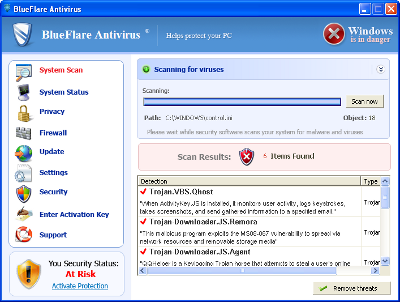 BlueFlare Antivirus prevents legit softwares execution, displays fake alerts and blocks random Web pages. 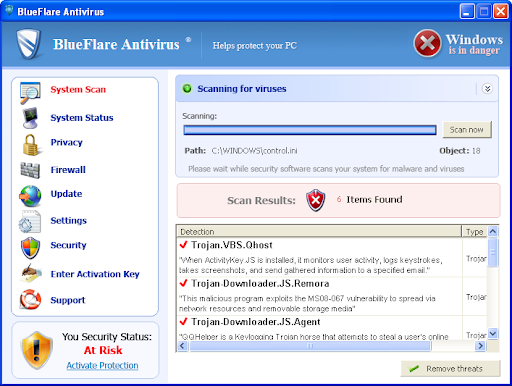 If your PC is infected with BlueFlare Antivirus use MBAM to remove the infection. Total Protect is a rogue anti-virus application. This .NET fake AV displays fake alerts and prevent legit software execution to scare users. 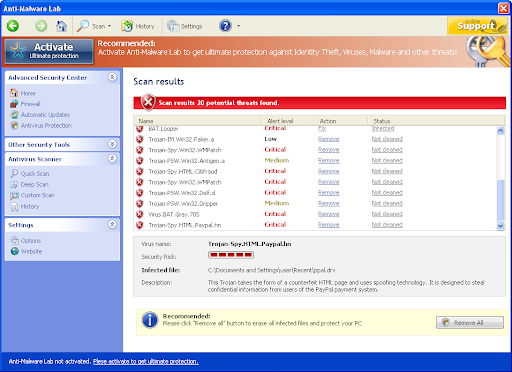 Personal Shield Pro is a fake anti-spyware tool. It displays fake alert messages, prevent execution of legit programs, detects inexistent infections to scare users. In this version of Personal Shield Pro, the skin takes the appearance of Essential Cleaner.